Koba is a happy, smart, loving pup with an adventurous spirit and a gorgeous brindle coat. This handsome fella loves being loved on and will follow you around the house like an adorable shadow. But he isn't pushy about asking for affection - as long as he can be nearby, Koba's one happy little camper. He can be shy with new people, but once he warms up, he becomes the most loyal and loving companion. Medium to high-energy, Koba is still a youngster and likes getting plenty of exercise. He's lived with a dog in the past and enjoys mixing it up in playgroup with his canine friends at the shelter. He's a big fan of playing tug of war and fetch (with two balls though - you've got to trade him for the one he's got). He also has a goofy streak and likes jumping into empty bathtubs and will even help out with the yard work, breaking up all those big sticks. But Koba's not just a good time Charlie. He's extremely smart and well-trained, so much so that he recently became TOP Dog Ready! This means he has already learned all the skills in APA's Total Obedience Program, which is modeled after the AKC's Canine Good Citizen (CGC) test. As a TOP Dog, Koba has a personalized training plan and works with a volunteer trainer several times a week to practice the skills to be the best dog he can be! Dogs in the program learn skills including sit and down, walking nicely on leash, sitting calmly when approached by strangers, calmly walking past another dog, staying in a sit or down until told "free," coming when called and "place", which means Koba will go to a specific place in your home on command. Koba doesn't ask for much - just a home with a yard, a doggie playmate to help him get his ya-yas out and a person to call his own. If that sounds like yours, come meet this amazing pup! 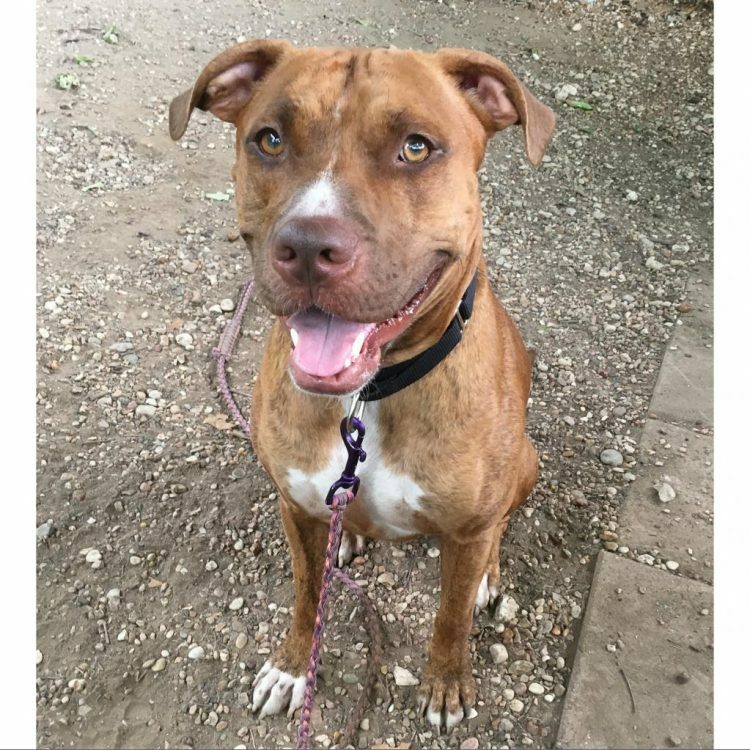 I saw Koba (https://www.austinpetsalive.org/adopt/dogs/apa-a-62744) on the Austin Pets Alive! website and would like to request more information.